Kevin Carmony's Blog: Barack Obama Hides Welfare and Socialism in his "Tax Cut"
Barack Obama Hides Welfare and Socialism in his "Tax Cut"
Obama "spreading the wealth around." I have a very good friend who is planning on voting for Barack Obama. Even SHE refused to believe me when I told her that people who pay no income tax (about 40% of Americans) will actually get a check in the mail under Obama's "spread the wealth around" tax plan. I admit it's hard to believe, but quite true. Read this Wall Street Journal article. What Obama calls a "tax cut" is really a tax increase, and that tax increase is really a welfare payment to millions. It's one thing to "tax the rich" to build highways and support our national defense, but when you take money from one group and give it to another, that's WELFARE, and when your government FORCES you to do it, that's SOCIALISM. I never hear Obama talking about expanding the pie, only about how to slice it. I'm all for helping those in need, but the best way to do that is to grow the economy with LOWER taxes so everyone can have a good job. As pointed out in my last blog, the private sector can do much more to help people than government. I have been unemployed for the past year as I've been starting a new business, so I have no income. Senator Obama, if elected to President, PLEASE do NOT mail me my welfare check. I prefer to earn a living through work and productivity. Are you familiar with Orson Scott Card? 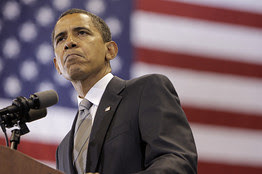 I just discovered (this week) that he is - despite being an admitted democrat - very much opposed to Obama and his agenda. He hasn't really gone into the hidden cost of the tax-only-the-rich socialist programs yet, but I'm sure it's a matter of time. I weep for the future if Obama gains the highest office. How are the tax rebates that George Bush, John McCain and other republicans favor any less socialist than tax cuts? When you INTENTIONALLY create tax inequality to "spread the wealth around" and give checks to people who paid NO taxes, that's called welfare and socialism, which is very different than a normal progressive tax system used to help pay for roads, national defense, etc.